One of the most useful feature in Azure is the ability to reset your virtual machine's password. 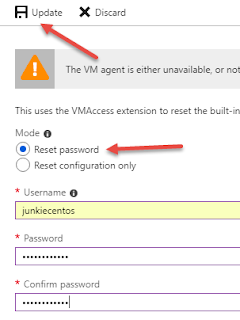 There will be times when you create a virtual machine that you put aside for a long time and you forgot the password for the machine. 5. 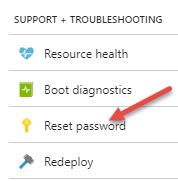 Under "SUPPORT + TROUBLESHOOTING" select "Reset Password"
Surprisingly the reset password function takes a long time to apply. So you have to wait for a while before you can use your virtual machine again.